This is often a confused legal concept, as a trier of fact can be a jury or judge (or arbitrator or other type of person to settle disputes). 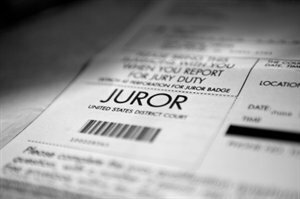 In a jury trial, the triers of fact are the members of the jury selected to hear the case and decide on a verdict. In contrast, in a bench trial, the trier of fact is the actual judge (because there is no jury). In bench trials, the judge makes the legal decisions and determines the facts of the case as the trier of fact. But in jury trials the judge only makes the legal decisions, while the jury acts as the triers of fact! So, the trier of fact will differ depending on whether the case is a jury trial or bench trial. This is often an area where people get confused. Now, you know one of the main differences between a jury trial and bench trial.